Bronze trim decorates the exterior to lend an attractive look. 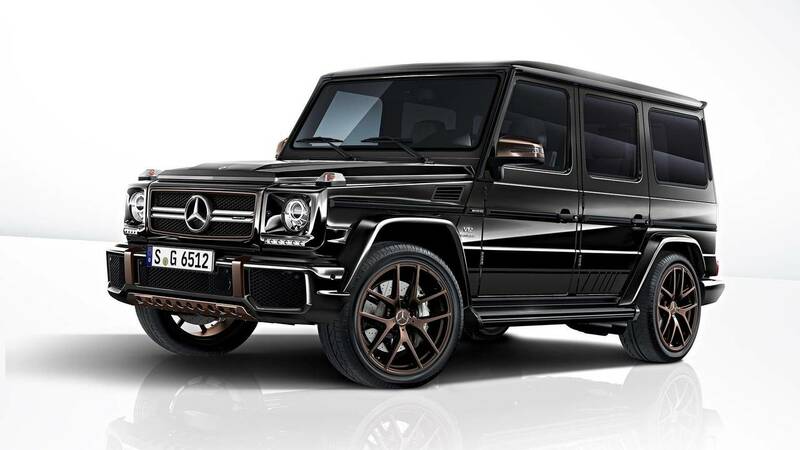 UPDATE: Mercedes-Benz USA has confirmed details about the G65 Final Edition of the American market. Thirty of the 65 examples of the ultra-luxurious SUV will come to the country, and they'll retail for $252,690 after $995 destination. The vehicles will only be available from select dealers what will likely be in the G-Class' top markets, which include Southern California, Texas, Southern Florida, New York's Tri-State Area, and Atlanta. The existing Mercedes-Benz G-Class is on the way out, and the company continues its farewell to the long-lived model by launching the G65 Final Edition. The automaker will only offer 65 of them worldwide, and they’ll sell for 310,233 euros (the equivalent of $368,000 at current exchange rates). These special SUVs feature bronze accents on the outside that give them a high-end appearance. The finish covers the 21-inch wheels, bumpers, front grille surround, mirrors, and center section of the spare wheel cover at the back. Smaller exterior design flourishes include a black mesh center of the grille and high-gloss black trim in the protective strips down each side of the body. The Final Edition’s cabin is quite an opulent place to go off-roading. 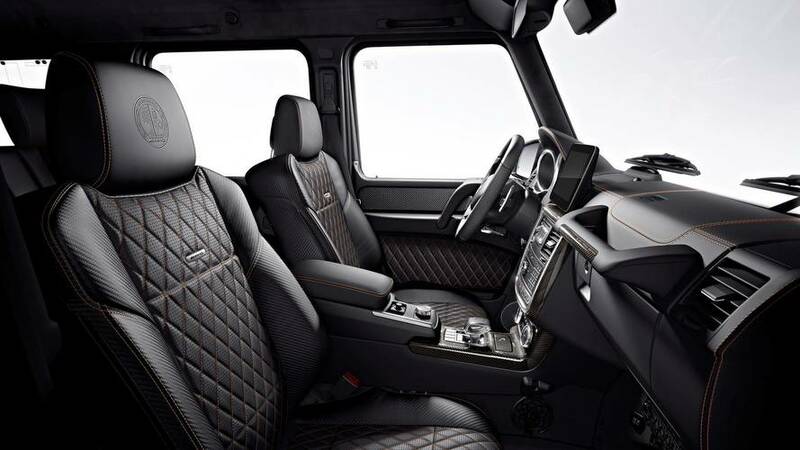 Black nappa leather covers the seats, including a carbon-fiber-like finish for the bolsters’ upholstery and bronze contrast stitching for the diamond-quilted center sections. In addition, the carbon-fiber trim throughout the interior, features a light brown weave. Occupants up front get heated and ventilated seats. Like the rest of the G65 range, the Final Edition uses a 6.0-liter biturbo V12 with 621 horsepower (463 kilowatts) and 738 pound-feet (1,000 Newton-meters) of torque. A seven-speed automatic routes the output to an all-wheel-drive system. It gets the big SUV to 62 miles per hour (100 kilometers per hour) in 5.3 seconds and an electronically limited top speed of 143 mph (230 kph). 2018 Mercedes G-Class To Debut In January At Detroit Auto Show? In preparation for the next-generation G-Class, Mercedes will also end production of the G500 4×4² at the end of October. The new G-Class will debut in 2018, possibly as soon as the Detroit Auto Show in January. The SUV will transition to a new platform what will reportedly shed significant amounts of weight. A digital instrument panel will be available inside, and AMG versions will get Mercedes’ Panamericana grille with vertical slats. The future G63 will begin using Mercedes-AMG's 4.0-liter biturbo V8, and a version of the 6.0-liter biturbo V12 will power the G65. The sporty appearance of the dynamic exterior design of the G 65 Final Edition is underscored by large 21‑inch 5‑twin-spoke light-alloy wheels in bronze, silver brake callipers and AMG Sport trim strips on the sides. Additional highlights come courtesy of features retained in matt bronze such as the underride guard, the trim elements in the bumpers, the wheels and exterior mirrors plus the spare wheel cover in obsidian black with appropriately designed insert. These are complemented by the radiator grille with black mesh screen and surround painted in matt bronze. Running boards and tailpipes are retained in matt black. Inserts in the exterior protective strips in high-gloss black complete the look. This special model also has a high-quality interior design: the scope of equipment includes the designo Exclusive package in designo black nappa leather with seat side bolsters in a carbon-fibre look and topstitching in light brown. Carbon-fibre trim elements with decorative stitching in bronze, the milled Edition lettering in the grab handle plus floor mats with leather edging in light brown and topstitching in black round off the look. The driver sits behind an AMG Performance steering wheel in black nappa leather featuring a flattened bottom section and excellent grip. Driving is particularly comfortable thanks to the Seat Comfort package including multicontour seats and climatised seats for driver and front passenger. The G-Class has been the top model among luxury off-road vehicles since 1979. It is not only by far the passenger car model series with the longest production run in the history of Mercedes-Benz, but also the forefather of all SUVs to bear the three-pointed star – this is why all Mercedes off-road models feature the upper-case G in their name. 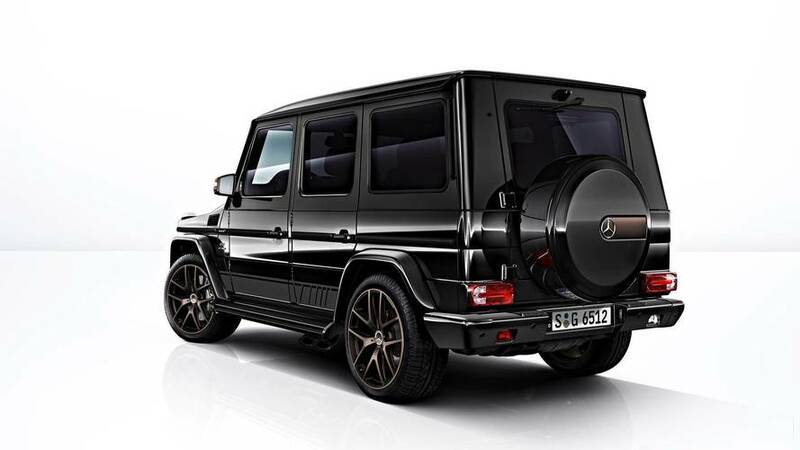 Like the entire model series, the G 65 Final Edition will be produced in Graz, primarily in the hand-finishing section of the production facility. AMG brought a G model onto the market as early as 1979. This was followed in 1999 by the G 55 AMG. Its V8 engine produced 260 kW/354 hp. Although the eight-cylinder engine with a displacement enlarged to 5.5 litres adopted the three-valve technology and dual ignition of the series production unit, it also offered high torque of 525 Nm from 3000 rpm alongside significantly increased output. The G 55 AMG was available with closed roof in short- and long-wheelbase variants and as a cabriolet with a short wheelbase. In 2012 the family tree was extended. As part of a very comprehensive facelift, the G‑Class was given a completely new exterior. Affalterbach also made some powerful refinements and launched the G 65 AMG into the mix. It incorporated everything the performance-hungry fans of the off-road icon had been dreaming of – such as a 6.0‑litre 12‑cylinder engine with carbon-fibre/aluminium cover. Generating 1000 Nm, the G 65 AMG became the most powerful series production off-road vehicle in the world. The G became an ultra-modern legend, which has since delighted a growing community of fans.